Selling your own home has challenges and rewards. 2. How Much Does a Big Sale in the Neighborhood Affect My Home Value? An August 2012 survey commissioned by the National Association of Realtors found that 21 percent of people in a survey of home sellers had tried to sell a home themselves. Twenty-two percent of these For Sale By Owner -- FSBO -- sellers eventually turned to a realtor to sell the home. When you sell your home yourself instead of going through a real estate agent, you potentially save the 6 to 8 percent real estate commission. How much you really saves depends on your skill at negotiating and your willingness to do the work a real estate agent would do. Selling a home is not as simple as sticking a sign in the yard and putting an ad on Craigslist, at least in most real estate markets. To determine the selling price for your home, a real estate agent looks at the sales prices of comparable homes in your area that have sold within the last six months or so. Thanks to the internet, you can do the same, searching local tax rolls for recent sales. You’ll need to do your homework, perhaps even visiting some of the homes to compare their locations and conditions to yours. Choose comparable properties with similar lot sizes, age and features. Setting your price may be the most difficult aspect of selling your home yourself: Price too low, and you lose out on money; too high, and your home will sit on the market without selling. When you sell your home yourself, you’re responsible for all the marketing cost for flyers, mailings, signs and online listings. This can range from a few hundred to thousands of dollars, depending on how much advertising you do. You may also want to pay someone to stage your home. Stagers decorate a home to appeal to buyers. Also figure in the cost of your time; selling your own home requires hours of research and marketing efforts. You’ll also need to pay the other closing costs associated with any real estate transaction, and pay a real estate attorney to draw up a contract for you. A big part of selling your home is showing it. A real estate agent does this for you, but as an FSBO seller, you show the home yourself. Some sellers hold periodic open houses. This poses security concerns, since you’ll have strangers coming through your house regularly. Even if you employ an agent, lock up valuables for the duration of the sale. When an offer comes in for your home, you’ll need to negotiate the selling price. If you’re not a good negotiator, you could lose some of the thousands you gained by selling the home yourself. If you’re willing to put in a lot of work to sell your home yourself, you’re a good negotiator and you have the time to devote to the effort, you could potentially save thousands of dollars over the cost of using a real estate agent for the sale. Some FSBO sellers end up signing with a real estate agent because they can’t afford to devote the time needed to selling their own home or because they don’t feel comfortable showing their home to strangers, setting the price or negotiating the sale. The decision to sell a home yourself or sign with an agent may relate to your skill set and comfort level as much as it does to money savings. 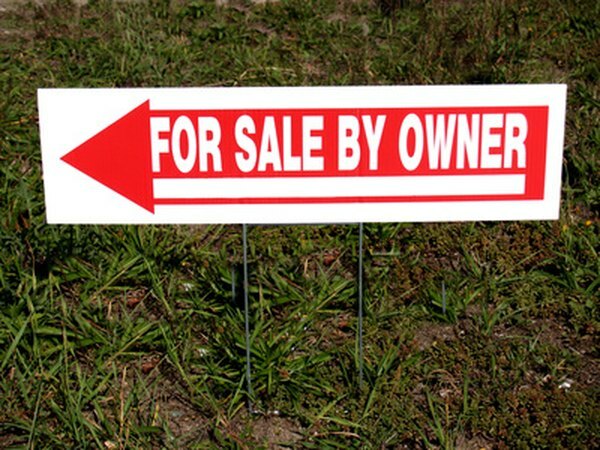 U.S. News and World Report: Is 'For Sale By Owner' Right for You?